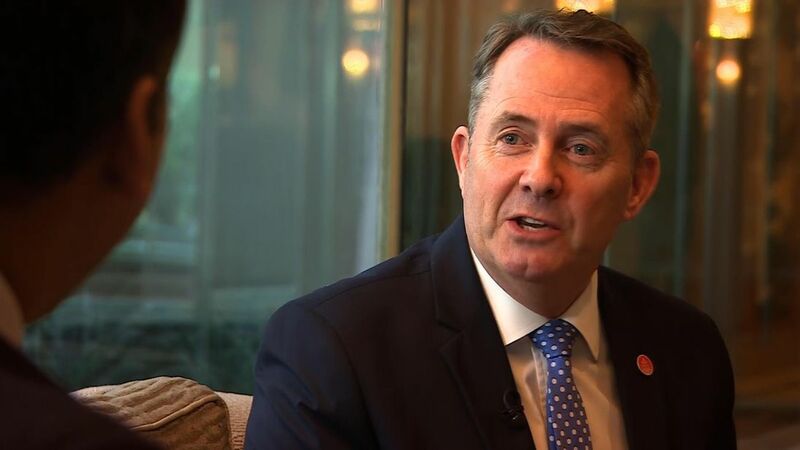 A former Barclays executive is being parachuted in as Britain's exports chief as ministers prepare to negotiate a string of trade deals in the months leading up to the country's exit from the European Union. Sky News has learnt that John Mahon, who until recently ran Barclays' corporate banking unit, has been recruited by Liam Fox's Department for International Trade (DIT) to the new post of director-general for exports.The appointment of Mr Mahon is understood to have been announced internally by the DIT earlier on Wednesday, with an external statement expected on Thursday.Reporting to Antonia Romeo, the Department's permanent secretary, Mr Mahon will be charged with devising an exports strategy which can withstand the turbulence of impending trade negotiations with scores of countries around the world.One Whitehall source said the Government was "delighted" to have secured an appointee of the calibre of Mr Mahon, who was only elevated to a new role within Barclays' corporate and investment banking arm last year.Since joining Mr Fox's ministry last year, Ms Romeo, a former consul-general responsible for the economic and trade relationship between the UK and North America, has been focused on establishing a structure and ethos enabling a more dynamic approach to trade promotion efforts.UK Tra‎de & Investment, the standalone agency which was effectively abolished in 2015 and absorbed within the DIT, was a source of huge frustration to ministers, who believed its approach to trade was often pedestrian.Export promotion forms a key plank of the industrial strategy published by the Government late last year. Another City insider expressed surprise at the recruitment of such a senior figure to the post because of public sector pay constraints.The news of Mr Mahon's appointment came as the latest export statistics, published on Wednesday, showed the UK's trade deficit in goods narrowing to €10.2bn in February.That movement reflected a fall in imports rather than an improvement in export performance.Responding to the new trade data, Allie Renison, head of Europe and trade policy at the Institute of Directors, said: "It is critical that, after Brexit, politicians look at the trade puzzle as business do, and move away from dividing the world into EU vs non-EU perspectives. That attitude politicises trade unnecessarily. "Given the current global climate, it is imperative that we focus on widening the UK's exports overall rather than resorting to prioritising certain regions over others. "‎Alongside Mr Mahon, a new director-general charged with promoting inward investment is also being recruited from the private sector, while five new trade commissioners were announced by the DIT last week.A source close to the DIT said the former Barclays executive would sit "at the heart of the Government's post-Brexit trading plan". There remains uncertainty about the scope and timing of a future trade deal with the EU, with financial services executives continuing to expres alarm at the lack of clarity about future arrangements.A DIT spokesman declined to comment ahead of an official announcement about Mr Mahon. » Reality Check: How much of the UK's trade is with the EU?